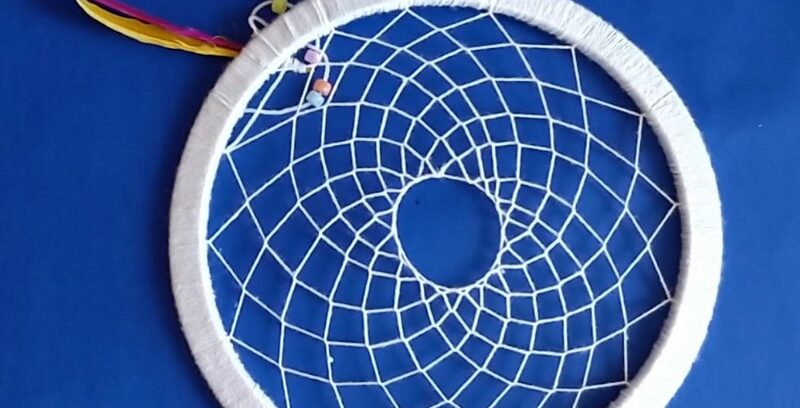 How to make Dream catcher at home [DIY] Easy and beautiful Woollen dream catcher. Step by step tutorial for dream catcher. Dreamcatcher can make with small hoop containing yarn, decorated with feathers and beads, believed to give its owner good dreams.